Of course this would not be possible without the protection and support of the Israeli military. All part of the occupation and continued effort to push people away and steal their lands and homes. All this time spent on posting videos, articles, fancy gifs.. all for what if we can't trust your word? Your lies were read back to you.. all you have to do is own up to them.. the 1st step is admitting there is a problem, are we ready for this step? Lol. You failed to prove me wrong in any thing. Also this is the word of an Israeli newspaper not mine. They are only able to commit these attacks because they are protected by a government and a population, very much like you, who are unable to condemn the most heinous crimes even those against children, and who are unable to see right from wrong. Recall the time you said Hamas agreed to a 2 State Solution, then provided Links.. & forced me to point out to you that your article said nothing of the sort? I don' like to embarrass a fellow linker like that but your biased reporting was caught.. do you recall this? True true. You should have that engraved on your tombstone as your greatest achievement in life. Israeli soldiers are over burdened because of the occupation. They serve multiple roles like judge, jury and executioners. BTSelem recently reported of several incidents in which poor Israeli soldiers were startled by cars and reacted bravely by shooting and killing scary Palestinians. btselem wrote: Over the course of nine days in December, Israeli security forces shot and killed three Palestinians in the West Bank, alleging that they had attempted to attack Israelis by car - incidents that never occurred. All three victims were shot although they were not endangering the lives of the security forces or of anyone else. Their death is a direct outcome of the reckless and illegal open-fire policy that permits, and retroactively supports, lethal fire in situations that do not justify it. 11 Dec. 2018: 'Omar 'Awwad (24) was fatally shot in the back by security forces as he was driving away from them, on his way back from work smelting copper. The police claims that the forces fired live bullets at ‘Awwad’s back because they suspected he had attempted to run them over. None of the forces were injured. None provided ‘Awwad with medical assistance. 13 Dec. 2018: Hamdan ‘Ardah (58) was fatally shot by soldiers while he was driving to the industrial zone in al-Birah, apparently after he was startled by their presence. According to media reports, ‘Ardah accidentally ran into a soldier, who was lightly injured. The soldiers fired at ‘Ardah intensively and did not stop even after he had been hit and the car had come to a halt. They prevented a medical crew that arrived on the scene from approaching ‘Ardah. willmma wrote: True true. You should have that engraved on your tombstone as your greatest achievement in life. We maybe breaking some ground tho.. Admitting to posting lies was the 1st step.. are we ready to admit to covering up for Hamas & that they are a key factor to there being no peace? I feel like this will be one Giant step, do we have it in us Will? 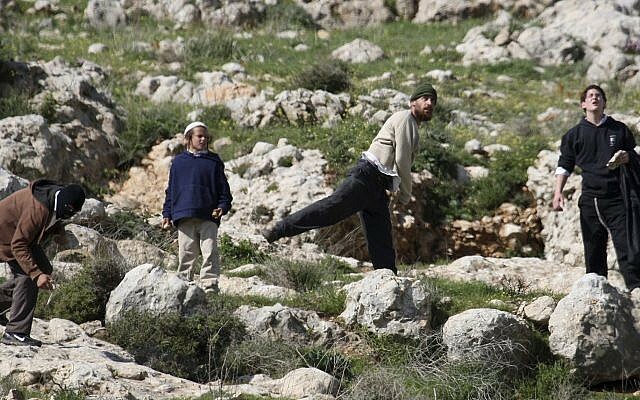 Did you know that Israelis abuse not only Palestinian men, women and children but animals too. Israel: No to peace, no to two state solution. we are here to take your land and your sheep. willmma wrote: You're so smart Shuck! Just come out & admit it.. That you covered for Hamas & that they are a blockade in the peace process, can we do this Will? Shuck is dropping peoples lefts and rights. And when I mean dropping, I mean face - rapping,and when I mean peoples,I mean willmma,and when I say left and rights,I mean just that. I know right, Shucky is so clever. Specially the way he cant get himself to condemn killing children. Some Israeli soldiers hesitate to kill children though. In this case command and control insisted on the kill. Israeli soldiers roam the streets of Palestinian towns to enforce the occupation and show Palestinians who is the dominant force. They must intimidate, they must humiliate, they must physically hurt and they must murder. That's the policy of occupation. willmma wrote: I know right, Shucky is so clever. While I humbly agree w/you & appreciate the compliments, this was not my goal here. I am reaching out my hummus branch, are you ready to accept it? A simple "Dear Jedi Shucky, you're right again. I William of the North covered up Hamas's crimes, the threat they pose & their Coy ways are clearly an obstacle to the peace process, forgive me lord or strike me down "
You're lying again Shucky. I'm not covering up any crimes. All I've done is expose crimes: Israeli crimes. Shuck you told me that you think a 2 state solution is the best option for peace, yet you are against ending the occupation because of factors and circumstances: 67 war and the holocaust. And you are also not able to condemn violence against children. Israeli occupation is the root of all problems in Israeli Palestinian conflict. Many Israelis see this and speak out against the occupation. But unfortunately most Israelis are as blind and brainwashed as you Shuck. They support the occupation even when they know it is the antithesis of peace. Israelis have been able to maintain the occupation for decades but do not notice the ground shift under them. Just like how empires rise and fall. This occupation which is imposed by the power of the gun and by keeping Israeli boots on Palestinian necks, will also come to an end. The world is more and more being turned off by this systematic and unrelenting abuse. The occupation will end. It is better for Israelis if it ends on their terms through a voluntary exit than than being forced out by global forces. But I doubt you or your countrymen will hear these words. willmma wrote: You're lying again Shucky. I'm not covering up any crimes. All I've done is expose crimes: Israeli crimes. You do recall the time that you placed Hamas in Gaza when they admitted to killing 2 Israeli Soldiers in the WBank? Wouldn't that be covering up for Hamas? Shucky, all you know how to do is either act dumb like you dont know how to read or simply duck everything. You are the worst at this buddy. Here Palestinians are not allowed to walk on a street in their city. Only Jews can walk here. What an embarrassment Israel is. When are you going to finally admit that occupation is evil and you are ashamed of what your country does to other people? willmma wrote: Shucky, all you know how to do is either act dumb like you dont know how to read or simply duck everything. Shuck wrote: And if you don't think they have a presence in the WBank, just check the killings that occurred yesterday that Hamas took credit for. willmma wrote: Israeli abuse is evil and relentless. Why are these soldiers in the West Bank in the first place?